Welcome to my ARC’TERYX BETA SL HYBRID REVIEW! When it comes to producing top of the line waterproof shells, perhaps no company specializes in producing the best rain jackets better than Arc’teryx. The Arc’teryx Beta SL Hybrid is one of the most efficient ultralight rain jackets I have ever come across. For backpackers, climbers, and travelers, the Beta SL is a more-than-worthy addition to your backpacking gear collection. After getting to know an Arc’teryx jacket, there is simply no going back to lesser alternatives. Once you have been dry and comfortable, leaky/clammy jackets are just not acceptable. This Arc’teryx Beta SL review examines every inch of this truly remarkable jacket from top to bottom. Below, I cover everything you need to know about the Beta SL Hybrid including weight, packability, rain/wind/snow protection performance, best uses, material construction, competitor comparison, and much more. How much does the Arc’teryx Beta SL jacket cost? Does the Arc’teryx Beta SL have Gore-Tex fabric? How much does the Arc’teryx Beta SL weigh? 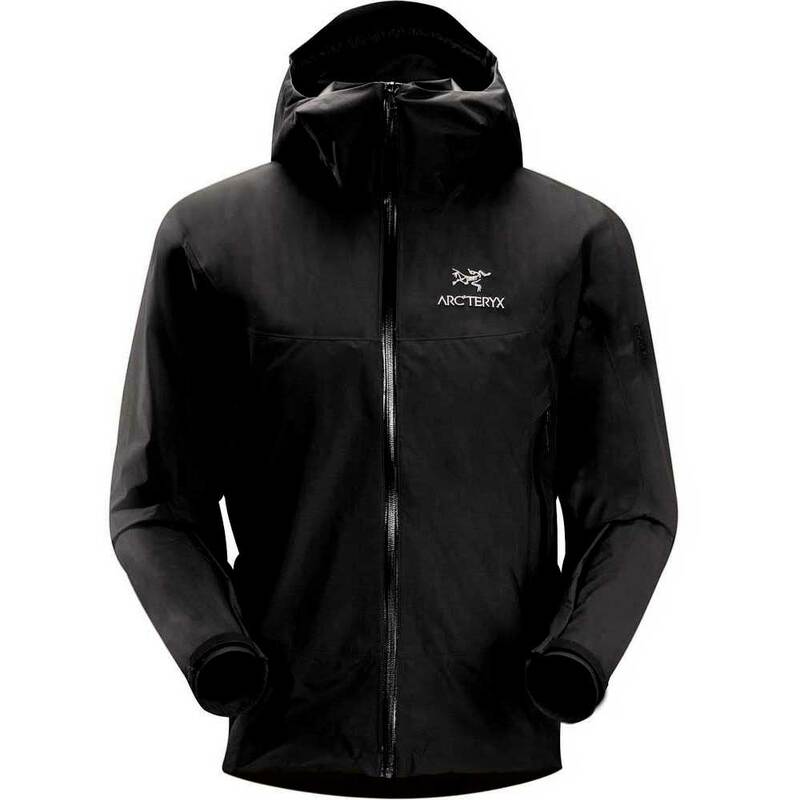 What are the best uses for the Arc’teryx Beta SL jacket? What is the Arc’teryx Beta SL jacket’s closest competition? What is so good about Arc’teryx products anyway? The Arc’teryx Beta SL Hybrid jacket is unique for several reasons. By definition, hardshell hybrid jackets are windproof, waterproof, breathable articles designed to keep you dry in even the most appalling weather conditions. The Beta SL hybrid hardshell is not only good at repelling water. This jacket was designed to be ultra durable as well, especially in the key areas where wear and tear are the most likely to occur. Arc’teryx integrated fabric types with varying performance capabilities into the Beta SL, to ensure that you stay dry and that your jacket is up to the challenges presented by backcountry adventures. I have several Arc’teryx rain jackets that are a bit hefty and I was immediately impressed by how lightweight the Beta SL is. Weighing in at just 360 grams/ 12.7 oz. (men’s medium), the Beta SL can accompany you just about everywhere you go without weighing you down. Whether you are packing up your daypack for a quick mission to the local forest or heading off to South East Asia for a couple of months, the weight of the Beta SL is hardly noticed. For everyday practical use on the trail or in the city, the Beta SL is a solid buy for those looking for an ultralight jacket. For the average backpacker, trekker, or climber, the Arc’teryx Beta Sl jacket is perfect because it weighs next to nothing and functions at such a high level; a characteristic often missing from other ultralight rain jackets. Long distance/ thru-hikers will especially the ultralight factor. The Beta SL has an excellent weather performance to weight ratio that is perhaps unrivaled by any other jacket I have come across. You can certainly find lighter jackets, but they will likely be paper thin and the rain will seize upon that weakness eventually. Arc’teryx is really good about designing activity-specific gear. If you are needing a professional grade shell for the high mountains, check out my Arc’teryx Beta AR review. In terms of weight (or lack thereof) though, the Arc’teryx Beta SL Hybrid is hard to beat. The Beta SL works great as a layer against the wind as well. The Beta SL is equipped with N40r Gore-Tex fabric and N42 p Gore C-Knit fabric. This combination of waterproof fabrics is what makes the Arc’teryx Beta Sl Hybrid a hybrid. Basically, those fancy scientific-sounding fabric codes are ratings/grades based on the fabric composition. So…what do they mean for you? The short answer is that those codes mean your jacket is built to do battle in the mountains (or city) and can handle its fair share of abuse in addition to keeping you dry. Since 1995, Arc’teryx has worked exclusively with Gore-Tex textiles. This is because Gore-Tex fabric technologies offer the best performance and durability in waterproof clothing. The Beta SL is lighter and feels thinner than most of Arc’teryx’s professional line jackets, but the water protecting concepts remain the same; they work. This jacket was designed with next-to-skin comfort in mind. The combination of fabrics works together to provide a waterproof barrier that simultaneously breaths and does not “clam-up” next to your skin. To properly keep the water out and to get the best tight fit, employ the adjustable hem drawcord and the Velcro sleeve cuffs so that rain can’t dribble inside. When water hits the Beta SL, it tends to bead up and roll off instead of pooling. The durable water repellent finish (DWR) helps repel water directly from fabric surface and the taped seams (like in a tent) increase weatherproofness. The Beta SL features several other components that help keep the weather out too. The helmet-compatible hood has adjustable drawcords and a laminated brim and chin guard so that you can get everything cinched up tight, even when wearing a helmet. Without a hat or a helmet, I found the hood to be slightly large on my head. That is just how a helmet-compatible hood is designed. If you are sitting on belay in light rain you can stay dry whilst your partner sends the next pitch. For pockets, the Beta SL features two hand pockets with water-resistant zippers. I say water resistant, but I have kept cash inside the pockets during a downpour which stayed dry. That said, the pockets are mostly waterproof but maybe not 100%. A quirk of Arc’teryx jackets is that the pockets are often set at a high angle. This takes a little getting use to as you have to keep your arms at a relatively high angle to use the pockets. I will say that the Beta SL pockets don’t appear to be as severe as the pockets on my Beta AR. I do wish Arc’teryx would have included an inner chest pocket as those can be super handy for storing things like your phone or wallet. Likewise, when the temperatures are cold, you are likely to have another layer underneath your shell so finding alternative storage should never be an issue if you are also wearing a down jacket (or pants with good pockets). For active users, the pitzips (armpit zippers) allow hot air to escape during physical activity such as hiking or climbing. These zippers are indeed watertight, so when they are not open, no water should get inside. This feature is the main way the Beta SL achieves ventilation. Apart from being fun to say, pitzips are very handy. I find that I use them almost every time I wear the jacket. Hiking in any rain jacket is always going to be a potentially sweatier experience than hiking without, so the pitzips really help vent the body heat trapped inside the shell that comes with movement. One of the basic concepts of Gore-Tex material is that the stuff keeps water out while letting hot air escape for breathability. Whilst this is a good concept, it doesn’t always work perfectly. There will still be some heat trapped inside the jacket, which could be a good or a bad thing depending on what you are doing. Between the pitzips and jacket fabric, the Beta SL delivers an overall solid breathability performance. Just don’t go to a hot yoga class wearing one and you should be fine. The Beta SL is a sort of jack-of-all-trades rain jacket. This jacket is best used as an everyday rain jacket for time spent outdoors, abroad, or in town. Because the Beta SL is ultralight, packs down nicely, and offers decent breathability, it is an ideal candidate for a long term backpacking or hiking trips, even in warm climates. Hot, humid, monsoonal countries found in South America and South East Asia require some sort of decent rain protection. Equally that sort of backpacking trip does not require having a professional grade rain shell either. Most likely, backpackers traveling in these regions pack light and carry small 45 — 55-liter backpacks. The Beta SL is a perfect travel companion in that regard because it 1.) takes up very little space and 2.) only weighs several hundred grams. From trekking the Anna Purna circuit in Nepal to the Inca Trail to Machu Picchu, all of the gear you carry should be practical, versatile, and usable in a variety of conditions and settings. Every traveler should have a good rain jacket buried in the bowels of their backpack and the Beta SL is the perfect candidate to have on hand for just about anywhere you travel to. Staying dry and comfy (with the help of the sun peaking through the clouds). Arc’teryx products are generally built slim-fitting. This rings true, especially for rain gear in the essentials series (which the Beta SL Hyrbrid is apart of). If you wear a medium size normally, than a medium size Arc’teryx jacket will fit you just fine if you are an average shaped person. If you happen to be a particularly muscular or large person, you may want to go a size up as the jackets tend to run slim vs. baggy/lose. This slim jacket cut does serve a purpose, however. This style of fit was designed in a way that enhances the moisture management system and provides a greater thermal efficiency, which makes total sense. The less air that can move around inside the jacket, the less it can cool your body. While the sizing of the Beta SL is rather trim, I felt I had ample room to move, hike, and even rock climb without feeling like I was trapped inside of a straight jacket. I have had several loose-fitting rain jackets for backpacking and now that I have the Beta SL which actually fits my body properly, I can feel the difference. Quick Answer: $300 – 400 – depending on where/when you buy. One of the hardest parts of joining the #Arc’teryxtribe for me was the costs involved. Arc’teryx gear is hopelessly expensive and thus remains out of reach for many backpackers. I’ve always said “I absolutely love Arc’teryx, but I hate their prices.” Be sure, I still have the same feelings toward Arc’teryx, but with regard to the Beta SL Hybrid, the love of the jacket finally outweighs the pain of the cost. The prices above vary by as much as 30% because occasionally you can find awesome deals on Arc’teryx gear without sacrificing a two-week travel budget. For example, right now on the REI website (April 2019), you can find the Arc’teryx Beta SL jacket for about $300. If you are in a hurry to buy a jacket for yourself because you have a trip coming up over the horizon, you may just have to bite the bullet and pay full price (totally worth it). When it comes to Arc’teryx gear, you really do get what you pay for. While it is my opinion that their gear is overpriced, Arc’teryx stuff really is some of the best quality outdoor gear I have ever used in more than a decade of backpacking, thru-hiking, traveling, and rock-climbing. Good gear requires an investment. It is always better to splash out on a badass jacket like the Beta SL the first time around instead of needing to buy a new jacket of lesser quality every couple of years. The Beta SL might hurt the bank now, but later down the line when you are stuck out in an appalling rainstorm, you will be smiling inside knowing you made the right choice. As you may have gathered, it is my belief that Arc’teryx products stand a level above the competition. Both their prices and their performance reflect that sentiment. That said, there are other options out there. For more inspiring jackets, check out my complete review of the 8 best jackets for travel. Pros: Totally waterproof, breathable, 3-layer shell protects you no matter how gnarly the weather gets. Contains materials that meet the bluesign (eco) criteria. Cons: Some users (not many) have reported poor durability and fabric weakness. Pros: Lightweight, good fit, decent weather protection. Cons: Expensive for what you get. Not totally waterproof (I found out). Poor Ventilation. Made with cheap material that breaks down over time, especially the interior lining. Pros: Cheaper than the Patagonia Torrentshell. Basic, entry-level rain jacket performance. Good fit and construction despite being cheap. Great for everyday use. This is the perfect jacket for the truly broke, just-starting-out backpacker. Cons: Not totally waterproof. Not as durable as other jackets. Clammy inside after prolonged use. Pros: Great jacket value for the price. 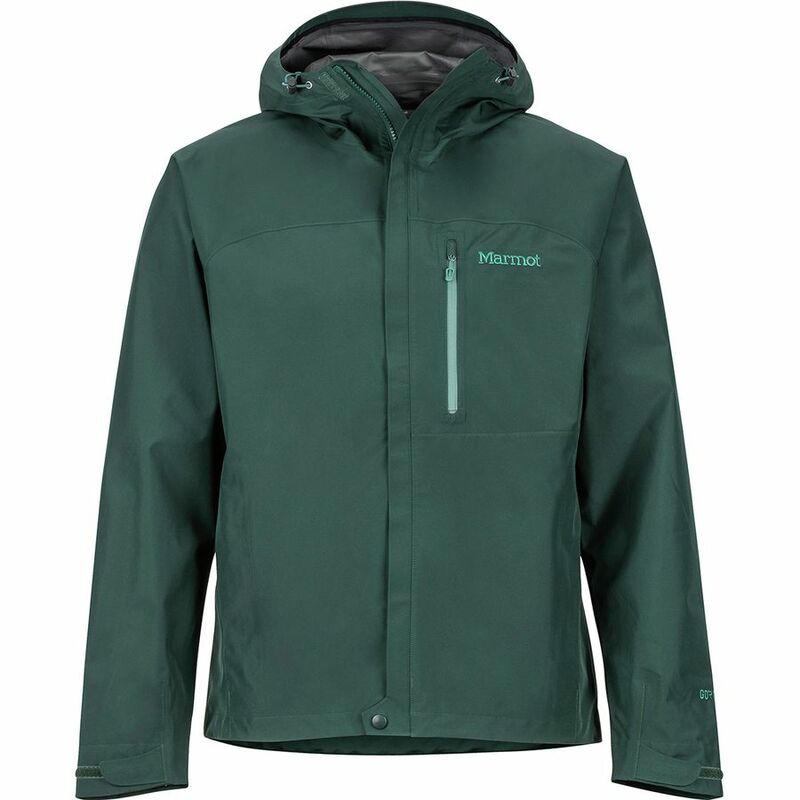 Durable and better performing than the Marmot Precip. Gore-Tex. Comfortable. Cons: Heavy. No stuff sack. Stifling in warm weather. By now, you should have no doubts: the Arc’teryx Beta SL Hybrid jacket is the next piece of gear you should invest to complete your backpacking kit. When it comes to quality and consistent high-level performance, nobody does it like Arc’teryx. Whether you are hitting the road for the first time or the mountains for the 1000th time, the Arc’teryx Beta SL is a solid all around rain shell to bring along for the journey. As I said, it can be hard to find a hard shell jacket that actually keeps you dry as advertised. If going with an ultralight rain jacket that will keep dry adventure after adventure, look no further, the Arc’teryx Beta Sl is where it’s at. I hope you enjoyed my Arc’teryx Beta SL review… If I missed anything or you want to share your experience with the Beta SL with the Broke Backpacker community, please leave a comment below! 7 Best Travel Jackets for all Travelers Review: Must Read!